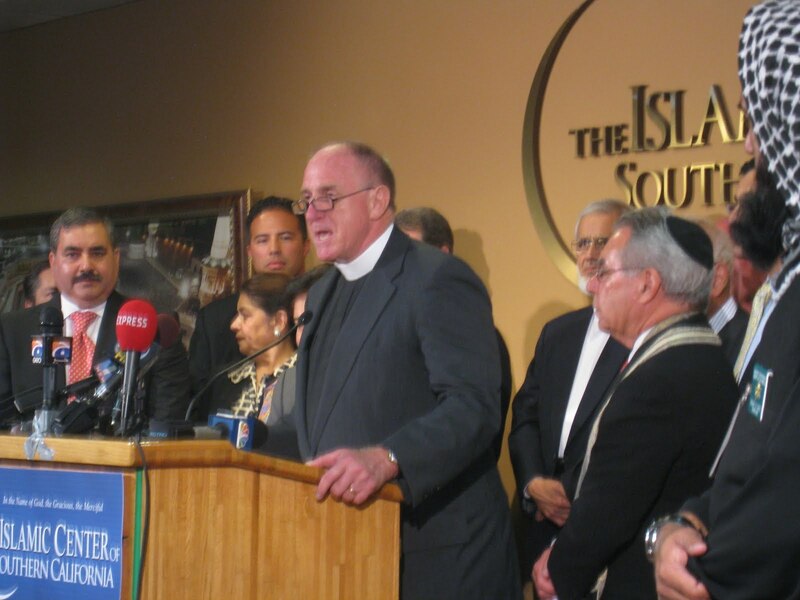 Imam Johari Abdul-Malik serves as the director of Community Outreach for the Dar Al-Hijrah Islamic Center. He was the first Muslim Chaplain installed at Howard University. 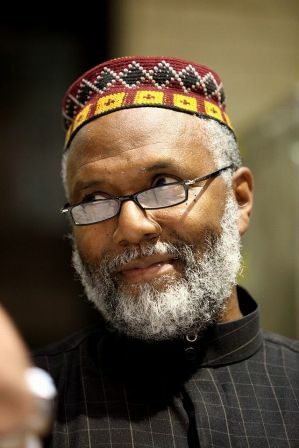 The imam is the former chair of Government Relations for the Muslim Alliance in North America [MANA founded by Imam Siraj Wahhaj] and is the founding President of the Muslim Society of Washington, DC Inc and Associate Imam of First Hijrah Islamic Center in Washington, DC. Known nationally for his fundraising efforts for masjids, schools and relief organizations, Imam Johari is a founding member of the Muslim Advocacy Commission of Washington, D.C. and “Muslim Men Against Domestic Violence” [MMADV] and has edited a book on”What Islam Says About Domestic Violence”. Dar Al-Hirjah is one of the largest mosques in America, and it can be linked to many terrorism suspects in some way. Imam Johari Abdul-Malik discussed the Dar Al-Hijrah mosque, rehabilitating the mosque’s image after 9-11, how 9-11 has affected Muslim life in America, and more. What are examples of what you have heard from fellow Muslims to any changes in how they have been treated since 2001? How much of a difference has there been? How often do they find themselves in a situation where someone has said or done something offensive or hurtful? Salaam alaykum, Imam Johari I am a devout American Muslim woman (and a convert like yourself), but after reading this, I would be terrified to attend your masjid. Instead of honoring your women, you make them go through a separate entrance in the back, for what? To protect men from seeing their wives and daughters? In the time of the Prophet, peace be upon him, men and women prayed in the same space. So my question is this, how can you hope to move from simply defending your community to integrating them into the country at large? This type of isolation and anger only breeds mistrust and silently encourages the behavior of men like Aulaqi. I truly wish you luck and will pray for your community. Please believe that there is another way. My masjid in Brooklyn is nothing like this. I agree with you that the architecture of the mosque is not women friendly. I am working first to change to minds of people who attend the mosque and then we have to work on reconstructing the bricks to be more women and family friendly. Do you agree with sharia? Do you think its OK for a 53 year old man to marry a 6 year old girl? If so, why? I would advise you not to do! What kind of outreach are you doing to local Christians and Jews? What’s the most common question you usually get? The most common question to me is as a convert “how did you become a muslim?”. Where do you stand on female genital mutilation? FGM: Is not a practice of Islam and although many cultures before Islam practiced it and this unislamic practice continues. I am working with relief organizations and interfaith organizations to end this horrible pracitice. But how do we change hearts and minds? Especially in a climate that seems to have grown more hostile to us? It’s difficult to tell other Muslims, especially conservative immigrants that they should embrace change and their new country when we’re being told we can’t build mosques. Park51 (aka the supposed Ground Zero mosque) is the perfect example. We worked so hard and against so much opposition for this place. Yet when I attended services a couple Fridays ago, a community member began berating a young Muslim woman for leading two male journalists in for both being uncovered and talking to a man. It’s humiliating. HOW TO COMBAT SHARIA STEREOTYPES? I’m a humanistic Jew, and while I do not practice traditional Jewish law, I’m well versed in them. I personally don’t see a difference between Sharia and the Talmudic laws that also dictate not just keeping kosher, but divorces, shabbat, how, when, and where to pray, conversions, and all other sorts of elements of daily life. There are orthodox rabbinic courts, Beit Dins, that are sometimes used as alternative dispute resolution mechanisms instead of regular secular courts. The Catholic Church has ecclesiastical courts that gives annulments and hears other similar sorts of cases. How can we better express that Sharia is no different from the rules and institutions of other systems? You are right on brother! We all need to speak this truth from the hill tops. Criminal law needs to stay in the hands of law enforcement. Salam dear brother. Islam, as a way of life, prescribes an appropriate way to deal with oppression and systemic injustice. While it was recently reported that Muslims in the U.S. are less likely to justify attacks on civilians (Source – http://www.gallup.com/poll/148763/Muslim-Americans-No-Justification-Violence.aspx) than other groups, there are specific limits on what is acceptable when engaging against an oppressive military, even in self defense. Could you provide an example of a just war, at level of a country, based in what Islam teaches us? Could you provide an example that could apply to daily life at an individual level? Salam! The “just war” theory seems to have only been applied to justify war. As they say, “war is hell”. SHOUDLN’T YOU LEAVE THE COUNTRY? In view of the past associations like Awlawki and the obvious distrust with which you and your mosque are held, don’t you think it is time you moved to a country like Pakistan or Yemen where you would find a more positive response to your preachings? Face the facts you don’t really fit in here. I take great issue with the hate speech of Anwar Awlawki. I’m from Brooklyn, NY. I am the decendent of enslaved Africans – I have every right to live in my own country. The first amendment affords me the right and responsibility to practice my faith alone with my fellow Americans. I agree that trust works both ways. My issue is the engagement with the leadership of the mosque as a partnership. I have worked with law enforcement on many cases but they only come to me after the fact. There have been instances where had they been a partner early on perhaps our security as a nation could be better secured. I like president Obamas new a approach – “Empowering Local Partners to prevent violentextremism in the US” . We are safer when we work together. Many Muslims who came in an earlier age, assimilated well — but the new iimmigrnts refuse to assimilate but continue to wear Muslim dress, demand we set aside muslim holidays in our schools etc. don’t you think these muslims would be better off staying in a country which is predominately muslim.? The question remains: Is American the great melting pot or the mulligan stew. In the melting pot – all of the ingredients get boiled down. I believe that what makes the great dish are the spices of every culture that adds to the favors of America, while still being able to identify the fruits. Do you think people view Muslims as “the enemy” now and will move on to another religion/ culture when the next big attack happens from another group? Is this a vicious cycle? While Islam is the issue of time, we should not be in denial about the violence that is besieging our societies. All ideologies that promote violence as a mechanism for social change are dangerous whether they are so-called Muslims, White Supremist or drug cartels….non-violent resistance for social change must become the new revolution. Don’t you think that your and your mosque are part of the problem and not part of the solutions? After all when you see the number of terrorists who have passed through your mosque, how can you not see yourself as part of the problem? knowledge is power! I think the article addresses this issue well. I believe that my work is to counter-radicalization. The American melting pot, a description beloved of so many who know no history, forget that that melting was for people from W. Europe who came from similar backgrounds as Americans. The melting pot image lack veracity when you include non Westeners in the picture – it is they who have created the problem and ripped appart the melting pot immage. NYChildren, a new photo exhibit at the Park51 community center in downtown Manhattan highlights the diversity of American identity by featuring New York City children from all parts of the world. A slideshow in the New York Times highlights a dozen portraits from the NYChildren exhibit. The photographer, Danny Goldfield, says he was inspired by a 2004 encounter with the brother of Balbir Singh Sodhi, the Sikh man who was murdered at his Mesa, Arizona gas station on September 15, 2001. That encounter led Mr. Goldstein to think about what constitutes American identity, and his project to photograph a child from each country of the world. So far Mr. Goldstein has photographed children from 171 different countries, all living in New York City. It’s been a year since the Park51 community center was besieged by Islamophobic attacks from across the nation for its proximity to Ground Zero. Park51 has since scaled back its plans to build a new community center and mosque in Lower Manhattan but nevertheless has continued to offer events and faith services to the local community in its existing building. On its website, Park51 says about the exhibition: “We live in a world with far too much fear and misunderstanding. This exhibition is about finding the courage to meet and get to know neighbors to build trust and friendship.” We can’t think of a better way to set a tone of resilience, tolerance and hope.